A family businesses passed down through generations Ravioli’s Market offers delicious Italian eats. If your looking for a dine-in experience, pick up, catering, or delivery they offer it all! Along with their new location they’ve also had a new website launched that we created for them. We used WordPress as their platform and built them a beautiful theme allowing for easy customization on their end. They hired a professional photographer to take all the great pictures you see throughout the website and they will soon be shooting some film to allow a website visitor a true walk-in experience of their restaurant without having to actually walk in. 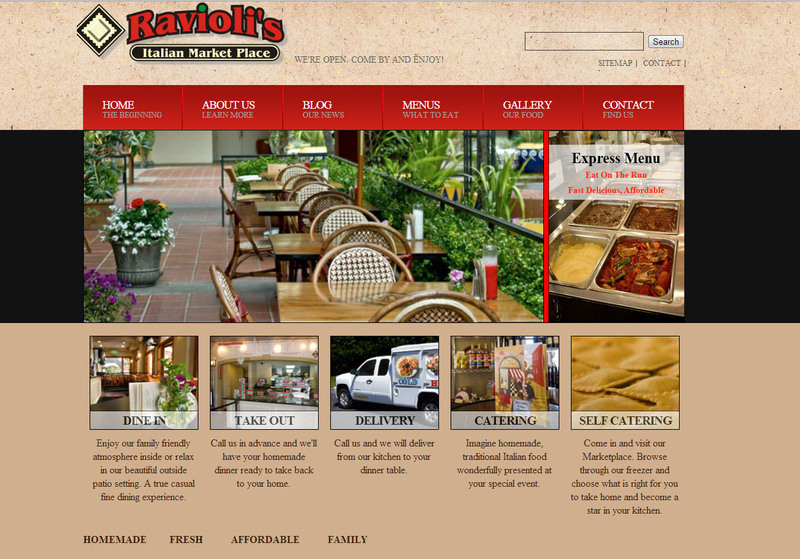 Visit www.RaviolisMarket.com and take a look around and if your hungry enough you might find yourself over there chowing down on some delicious Italian cuisine.